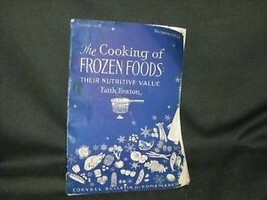 This listing is for a vintage booklet on the cooking of frozen foods from December of 1943. 35 pages, the cover has a couple rips and some curling at the edges and there are a couple stains on the cover. 9" x 6"